New luxury townhouse in quiet location minutes away from the Village and across the street from the Westin Monache hotel. We are a short three minute walk to the Canyon Lodge Gondola for easy access to the mountain and ski school. The location is great... lookup the mountain from inside your unit and checkout the snow conditions and gondola! You will rarely need to use your car. Restaurants, shops, ski and bike rentals, entertainment, coffee and bagel shops, the Gondola and more are all just a very short walk away! Luxury townhouse includes a two car attached garage with a separate heated ski and boot room for all your skis and snow gear. There is a private outdoor spa on your own deck - perfect for unwinding after a long day of skiing, hiking, biking, and fishing or just relaxing. A total of 1700 square feet offers you three large suites with three separate full baths. Master suite located upstairs includes a King Bed and custom oversized walk in shower. The second upstairs bedroom includes a Queen Bed with X-Long Twin bunk and private bath. The third spacious bedroom located on the main floor offers a Queen bed. Beds are equipped with luxury linens and mattresses for extra comfort. A queen-size sofa bed located in the family room provides comfortable sleeping with thicker memory foam mattress and deep pocket sheets. There are also two inflatable beds available. For your entertainment - there is a large flat panel TV with DVD player in the living room and master bedroom. The main living space includes an open floor plan with stone fireplace, a dining area and counter bar that seats up to 9, and a well-equipped kitchen with everything you need to prepare a gourmet meal with your friends and family. High speed wireless internet access for your laptops. Grayfox Unit 5 is one of only six units on a private cul-de-sac with a beautiful southern exposure that captures the wonderful mountain lighting and warmth of the winter sun. You'll find everything you need for an enjoyable winter or summer vacation! Check the mountain conditions before heading out for a day of skiing or mountain biking. Pack & Play (portable cirb), iPod Boombox. Clean, functional, and great location. Everything was as marketed. We will be back. We look forward to your return. We are open to any suggestions for improvements. If you want to be located near the village in a well maintained home, this the property. Great property. Close to village and gondola making mountain access for easy. Great location, good size, 3 bedrooms and 3 bathrooms. Walking close to the village. Easy to communicate with owner-manager. Please leave the place clean. Nice new finishes, features. Hot tub right in front of deck is awesome. Great location across from Westin and short walk to Village amenities. All the reviews are spot on target. My family and I and our close friends rented this property in February for one week. Both families had young kids and we all enjoyed the property. The location is really amazing as others have noted. You literally are right across the street from the Westin Hotel. We stayed at the Westin before and enjoyed it and really love that location as the Village is just a block down the hill. Location is unbeatable and very convenient as there are plenty of restaurants, shops, ice cream store, etc. in the Village. We also had dinner a few times over at the Westin. The property is as advertised. Booking it was easy. The owners were very responsive and we signed the contract and paid via credit card. They charge a bit more to pay via credit card but we didn't mind as we always like the protection of paying with credit card in case things don't work out. No worries here as the owners are ethical and property is as advertised. I own many vacation rentals that I also advertise on VRBO so I know quite a bit about the business. The property is set up well and everything worked. The beds were comfortable and we had a great time. Kitchen was very nice and we cooked several meals at home. The wi-fi internet worked and was about 5 MBPS download speed which was enough for Netflix for the kids and working. We got our refundable damage deposit back a few days after the check-out. Definitely I'd highly recommend this property and would stay in it again on a future trip. Thank you for your very exceptional review. Devils Postpile & Reds Meadow 10 minute drive, Yosemite Tuolumne Meadows is a 1.5 hour drive, Yosemite Valley is a 3 hour drive. 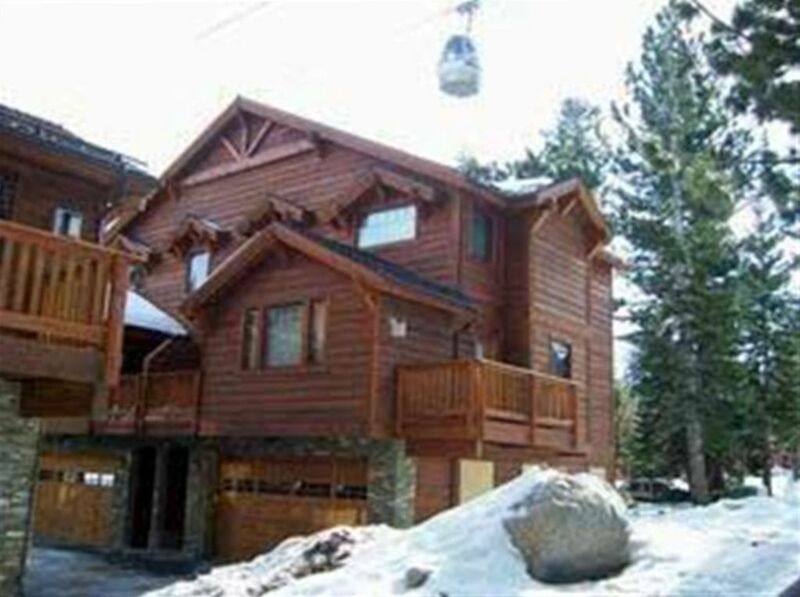 There is parking for 2 vehicles in the garage and a private ski boot heated storage room in the oversized garage.